Thanks to your feedback on last month’s post, I decided to do another round-up of complete outfits. I built this collage before we left on our trip, so hopefully the prices haven’t changed and everything is still under $20! 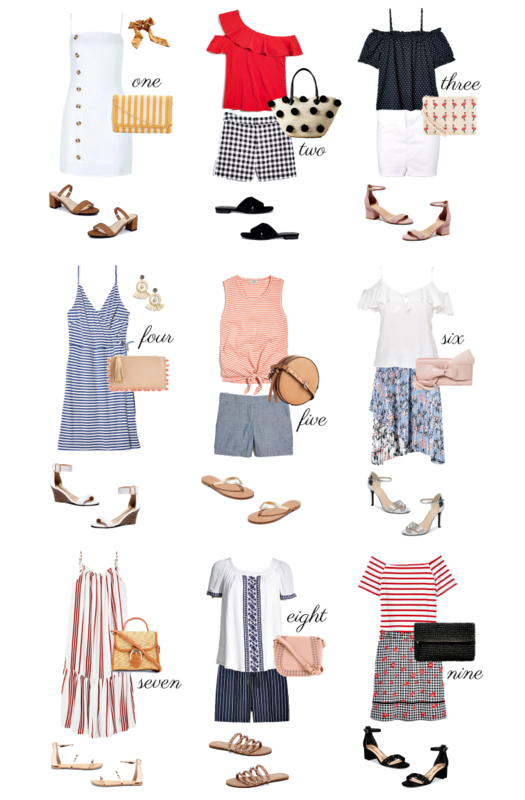 It’s always amazing to me when I look at these and see how many cute styles there are at this price point – it just takes a little diligent digging! T.J.Maxx has some really great new arrivals right now like this printed dress, this striped top, this beach tote & this tasseled blouse. I’d love to hear which look below is your favorite!